Her office is located in the black corridor next to the Head of Years Office. Information for candidates on controlled assessments, coursework, non-examination assessments, on-screen tests, social media and written examinations can be found on the link below. This link can also be found on the St Crispin’s website under Examinations. In person at the School. Candidates must sign and date the release form. By post to their home address. Candidates to have provided a self-addressed envelope in advance. Your Parents/Carers are able to collect them for you. Candidates are to have requested this in advance to the Exams Officer. 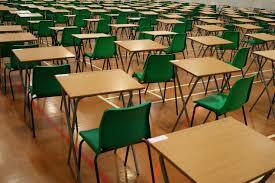 The student can collected and sign for their results at a date later than the original results day. Any results that are not collected on results day, can be collected from the school office from September. In person at the School. Candidates to sign and date the release form. By post to their home address. Candidates to have provided a self-addressed A4 hard-backed envelope in advance. To Parents/Carers. Candidates to have requested this in advance to the Exams Officer. Enquiries about Results (EAR) may be requested by centre staff or the Candidate following the release of results. A request for a mark review or clerical check requires the written consent of the Candidate. Please see the links below for the services available. Click on the above logos to view the websites.